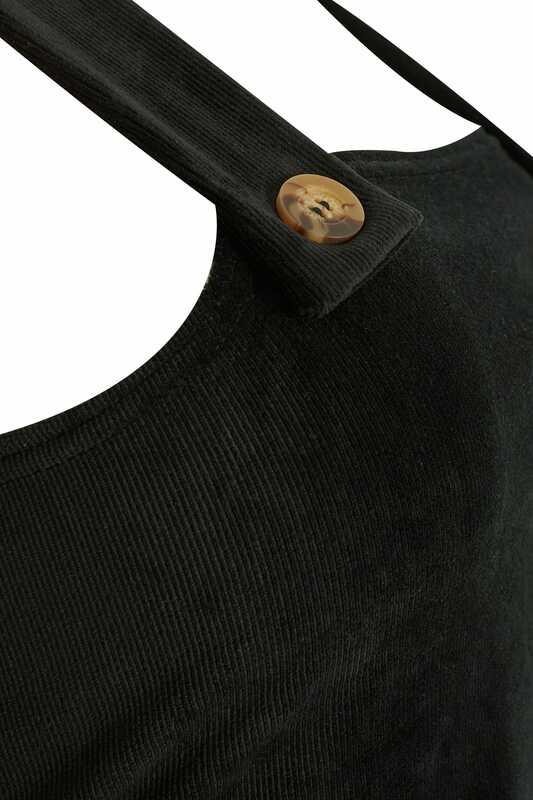 Dress to impress in this black jersey corduroy pinafore dress. 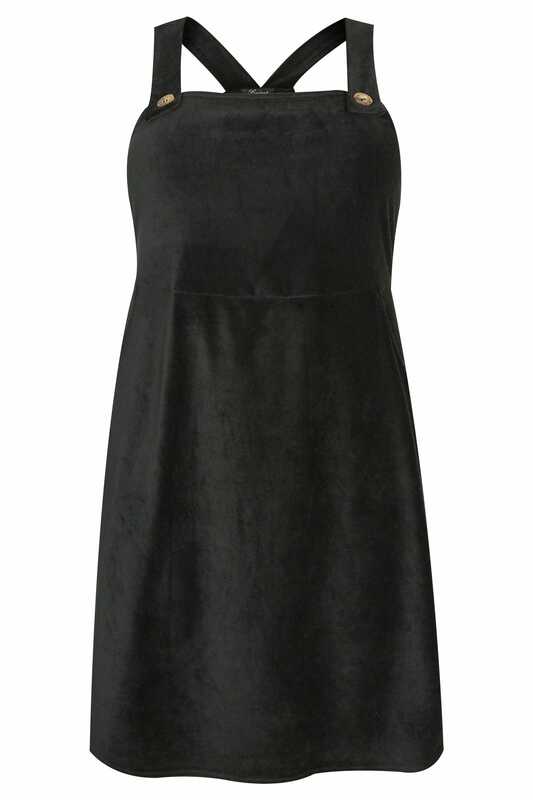 In a classic skater shape, its features on-trend mock horn button fastenings and two handy side pockets. 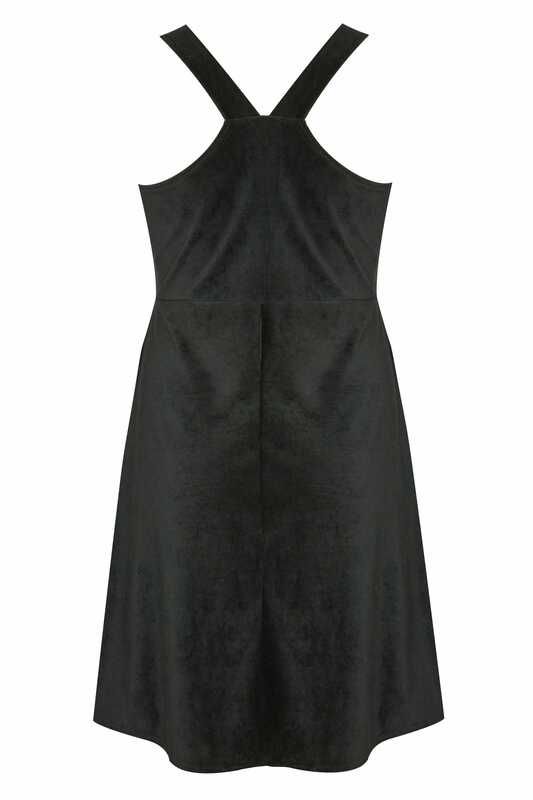 Great for work or play, layer yours over a turtleneck, tights and ankle boots for an effortlessly chic look. Look cute in corduroy this season.